Site of the printery of "father of Mississippi journalism." Printed first book in state, 1799. 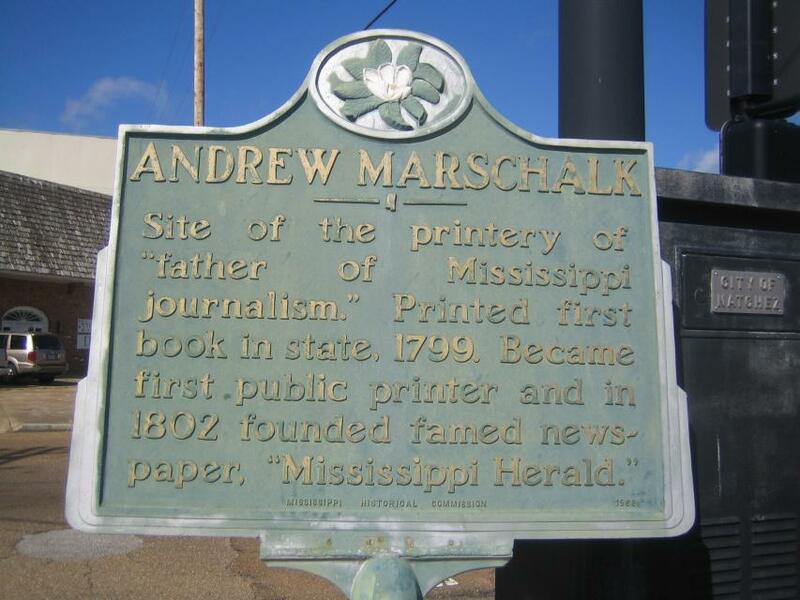 Became first public printer and in 1802 founded famed newspaper, "Mississippi Herald." This marker can also be identified by its HM code. You can use the hashtag #HM1CDU in tweets, and any other place where you might refer to this marker, including when searching on this site.